Welcome to our Full Dip Shop. 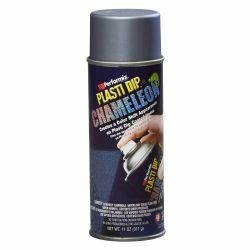 You can use Full Dip as a spray on vinyl wrap for cars, bikes , hobby stuff, arts and crafts. Works in similar ways to plasti Dip. Its as good if not better, smooth finish, ten year life span, very good price and made in Europe. Full Dip liquid vinyl peelable, removable spray paint. Started out as Vinyl wrap car or bike wrap in aerosol cans.You can wrap, protect and change the colour of your project. We have over 60 colour combinations using matte, chrome, pearl, metallic, candy, chameleon and camouflage Full Dip. 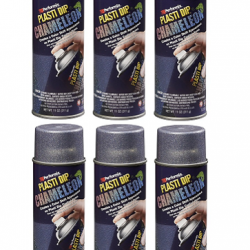 Available in aerosol cans and 4 litre tins ready to spray. You can use your own spray gun and compressor or buy one of our electric spray guns, no compressor needed, just plug in to wall socket and start spraying. Use Full Dip to add colour and protect cars, bikes , hobby stuff, arts crafts and so much more. Just follow simple instructions and spray with aerosol cans or 4 litre paint tins for larger projects. On non porous surface like glass, plastic and metal you can peel off anytime you want or spray over existing dip for new colour change if desired. We do a clear version that is great for extra top coat protection or frosted glass effect on you van back window for privacy while letting in daylight. Marine guys use clear to spray a couple of coats over electrical cables and connectors to stop salt water corrosion to connectors. The connection becomes airtight and water proof and you can still peel off later if required. Full Dip will not peel or flake like traditional paint , it always remains flexible in hot or cold climate.